All through the night the porcelain was visited for both activations, bit worrying that. Bit of blood from the ‘Inch’. Down and started laptop, kettle on, did the pots, back up to the WC. I am feeling nervous for some reason this morning, left knee giving gip again. 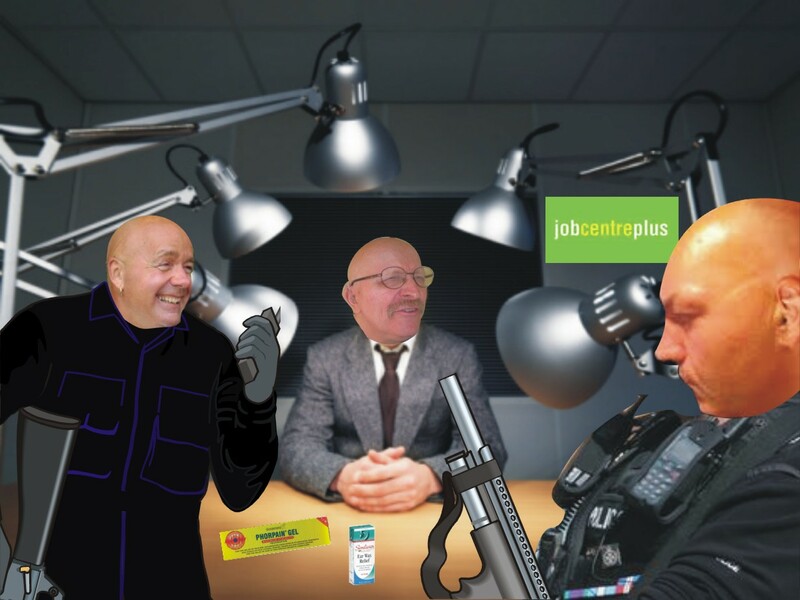 Updated this diary, then spent 4 hours finishing graphics for the ‘Inchy causes Nottingham Job Centre Disruption – by smiling’ post and posted it. Reacting to four calls to the porcelain during its creation. At this point, I was weary of stubbing me toes like wot I‘ve been doing recently. Shame I hit me head of the cupboard door. Everything assembled (I hope) I set off on me limp into Sherwood, to the Nottingham Hospice Charity Shop first. Then I caught the bus into town. Called into Tesco and got a Cornish pasty and some bread for the ducks in Derby. Then caught bus into Derby. 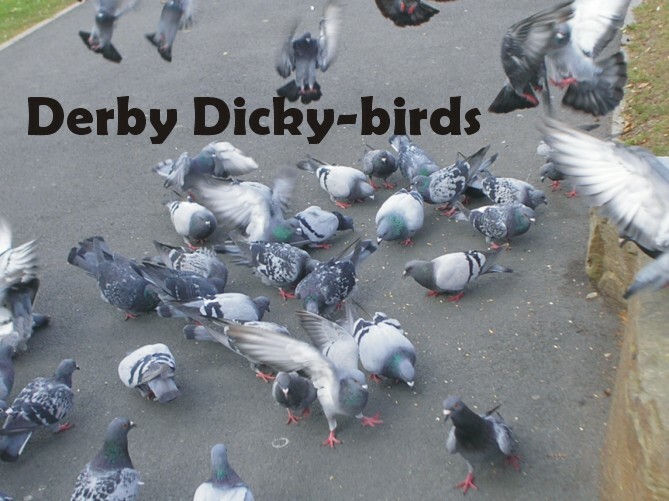 Had a walk along the Riverside, fed the ducks and dicky-birds. Suddenly feeling drained again, I caught the bus back into Nottingham. Took the scenic routed bus. Once the bus got into Beeston, it slowed to a crawl due to the Tram works, which let me have a good read of me book, and nibble me nosh. In town, the place seemed busy, but I could not see any mobility scooters; skateboarders and cyclist on the pavements yes. Walked up passing Brain Clough’s statue, where some yobs were fighting with each other, no signs of the constabulary about. Caught bus back to Carrington, limped back to the flea-pit, just made the WC in time again. Started laptop, made cuppa and updated this tosh. 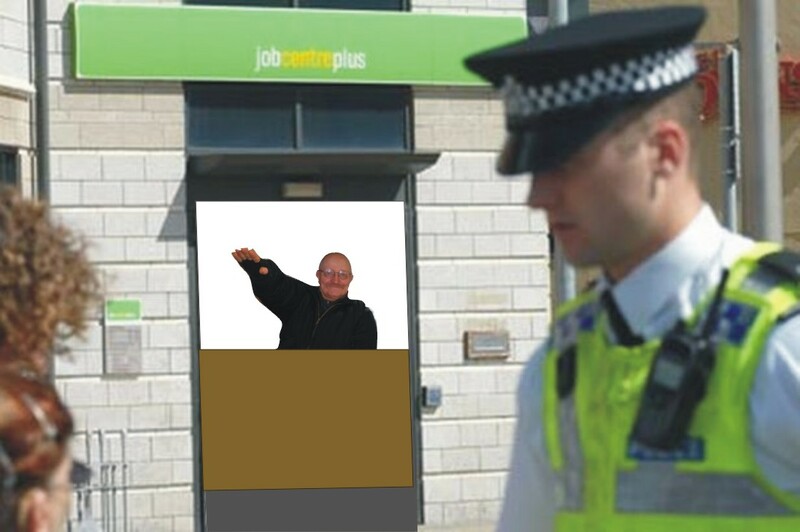 Chaos erupted earlier today at the Nottingham Job Centre on Upper Parliament Street, reports coming in from Nottingham Evening Liar Gazette correspondent Mike Steeden. Now released from prison on a the technicality that he was fitted-up. Juan Inchcock. claimed he was not smiling at all! 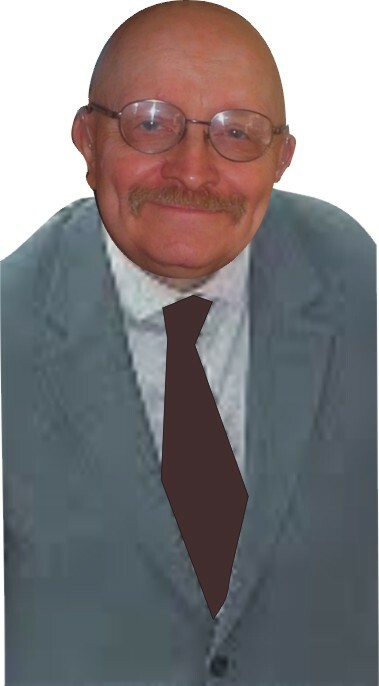 Juan Inchcock, a plain living but highly confused 65 year old (then) claimant, made redundant through no fault of his own, was spotted on the CCTV smiling while waiting for his JCP investigators interrogation. Emergency action was taken, and the JCP management placed the entire office immediately into Defcon-One status. 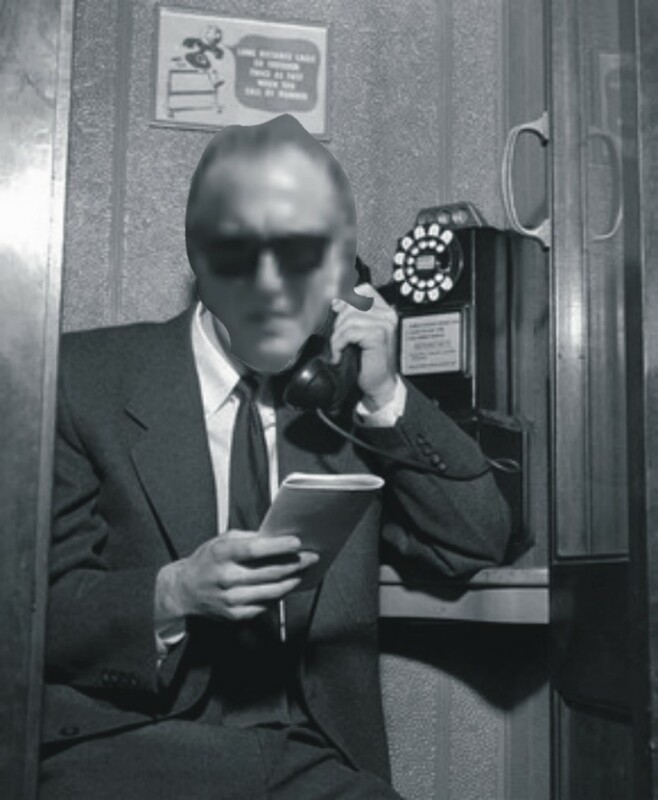 An emergency call made to the local investigative unit. Who responded with great alacrity arriving on site within 6 minutes of the call. The local constabulary were informed but took a while to arrive due to lack of officers available. Group4 security asked their control room to increase the number of officers without delay. The centre was evacuated, and staff removed to the safe room. This left the 65 year claimant alone in the offices, apart from two armed police officers with their dogs and a supply of tear-gas and two members of the investigative team. 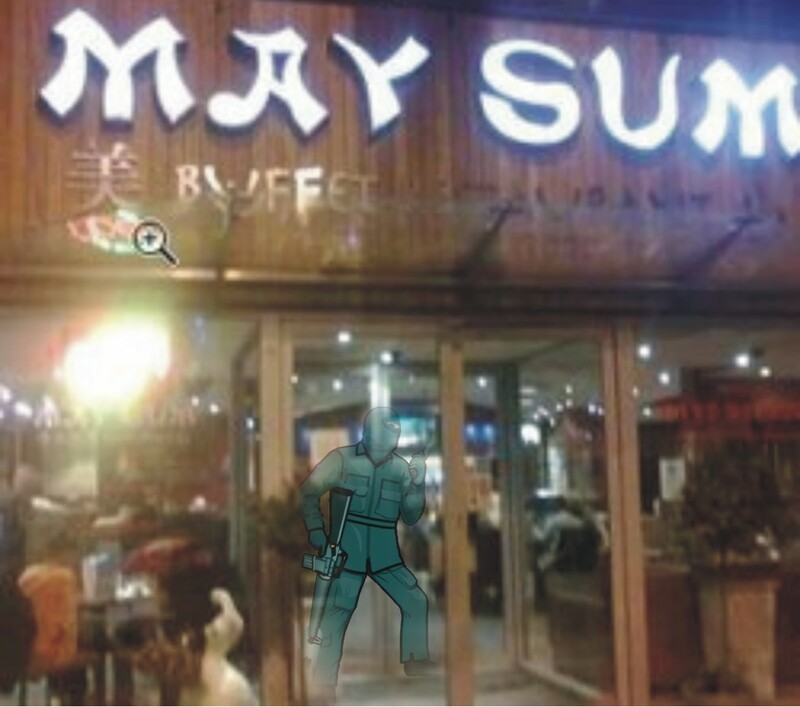 Both sets of officers were being given cover by Police snipers from across the road at the Chinese restaurant. Unfortunately the simple and indeed non-aggressive natured duck feeding 65 year old claimant was unaware of what was going on, as he had removed his hearing aids in an effort not to look so unemployable at his interview. 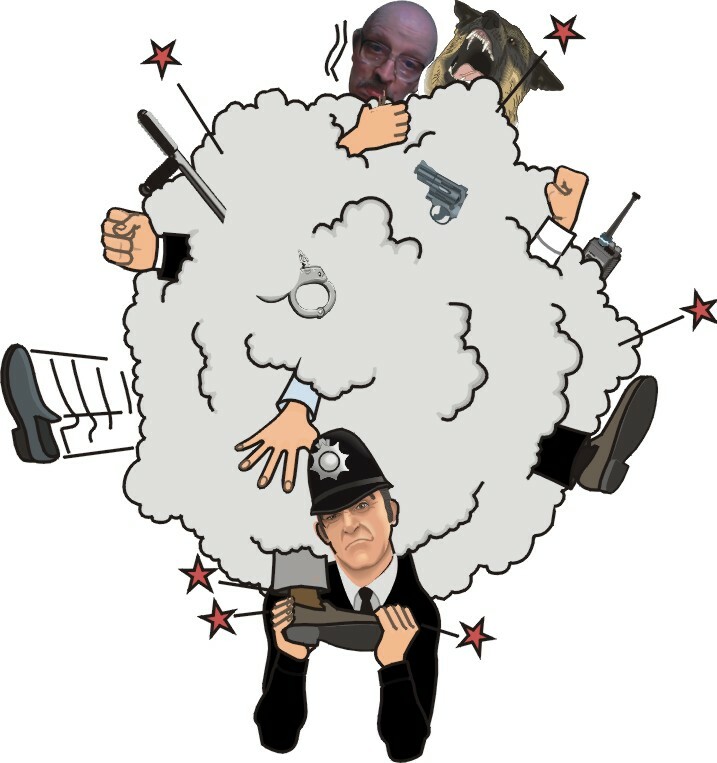 The investigators, covered by the armed police officers, approached the 65 year old, and the officers spread eagled the short portly-built Juan Inchcock on the floor – causing him much consternation and fear for his angina, stomach ulcer, and arthritic knees… Juan became confused his biggest mistake was greeting them with a Nazi salute that he thought they would appreciate. They searched his carrier bag and person for any offensive weapons, they were suspicious of his ear-wax-remover-spray and his tube of full-strength painkiller gel, and both were taken away for forensic testing. They confiscated his walking stick, and removed his packet of seaweed. They interrogated him about his reason for the unacceptable actions of appearing happy within the confines of a job-centre-plus establishment… and demanded to know why he had carried out this sacrilege. He explained that he was not actually smiling, but he was suffering from tooth-ache, and this might have distorted his face somewhat. He accepted a verbal warning from the authorities, passed wind and was allowed home. But it being so late, he could not use his bus-pass so had to walk all the way. The alert status was returned to Defcon 3, and the emergency services retired, leaving a warning that the 65 year old if the ear-wax-remover-spray or pain gel turned out to be anything dodgy, they would return. 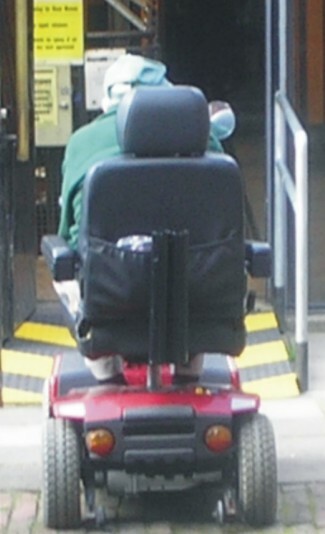 The 65 year old, now a 69 year old is no longer looking for work today in 2014, but still develops a nervous tic when he hobbles passed the Job Centre Plus, and thinks he can still see Firearm officers in the Chinese Restaurant across the road when he hobbled by?